Kanye West and Adidas have a few more sneaker collabs in the works before 2018 comes to a close, including an all-new "Salt" colorway of the Adidas Yeezy 500. The kicks, priced at $200, will launch at 10am ET today, November 30, at major retailers like Foot Locker, as well as other sneaker boutiques. Of course, the kicks will also be available thru Adidas.com, as seen in the purchase links embedded below. 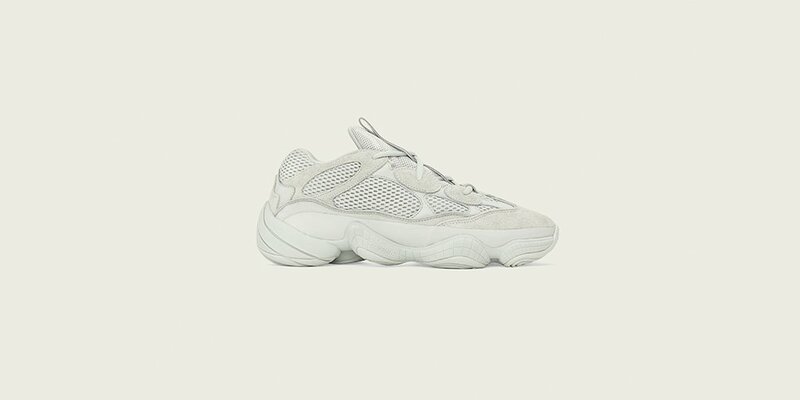 Similar to the "Super Moon Yellow," "Blush," and the "Utility Black" Yeezy 500s, the "Salt" version is built on a monochromatic colorway that encompasses the suede, mesh and sole. Unlike many of Kanye's other popular Yeezy sneakers, the Yeezy 500s do not utilize the beloved Boost cushioning. Following today's release, Kanye and Adidas have plans for at least one more drop in 2018 - a restock of the "Semi Frozen Yellow" Adidas Yeezy Boost 350 V2. Click here for more details on that.